What stands should I use for an F2 or F2X lightbank? Our F2 and F2X Lightbanks feature a number of ways to attach either to stands. Both feature 1.25” solid aluminum ends on the four lower corners of the lightbank, which fit into a standard Mafer or Super Clamp. Then, simply use the 5/8” Baby Receiver on the clamp to mount it to any Baby Pin. For low height suspension (5-6 feet) a standard C-Stand is suitable, as the total weight (listed below) is dispersed over the four stands, however it is important to factor in the lights you’ll be using inside the F2X as well. For higher suspension, crank or windup stands are preferred as many come with built-in wheels, and easier ability to raise or lower each stand. Popular choices include Matthews Crank-O-Vator, American Roadrunner, and Avenger Super Wind-Up. An additional Junior to Baby pin adapter may be required to mount the Mafer, consult the stand specifications for more details. With any support setup, it is important to total both the number of lights as well as the weight of the lightbank body alone, to ensure the manufacturer’s recommended maximum load of the stand is not exceeded. 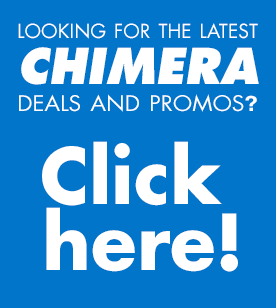 https://chimeralighting.com/wp-content/uploads/2017/08/chimera-lighting-logo-copy.png 0 0 Chimera Lighting https://chimeralighting.com/wp-content/uploads/2017/08/chimera-lighting-logo-copy.png Chimera Lighting2017-02-20 14:24:462017-07-03 13:38:30What stands should I use for an F2 or F2X lightbank? What lights can I put inside an F2 or F2X? What’s the difference between an F2 and and F2X?